The D16 Group announce PunchBox, a virtual synth created in cooperation with sound designers Sound Of Revolution and CFA Sound. The D16 Group introduces Frontier, a new (and free) plug-in made exclusively for their registered customers. Until the end of the year, the D16 Group is having its winter sale with 40% off everything (including bundles). The D16 Group announced that due to technical reasons, they had to postpone the release date of Decimort 2 to January 7th, 2016. D16 Group is about to release Decimort 2, an updated version of their bit crusher and sample rate reducer. D16 Group has announced all of its products will be on sale at 40% off until Cyber Monday. D16 Group Audio Software releases new version of its software multiband distortion Devastor, from its SilverLine Collection series. D16 Group announces the upcoming version 2 of its Devastor multiband distortion plug-in. 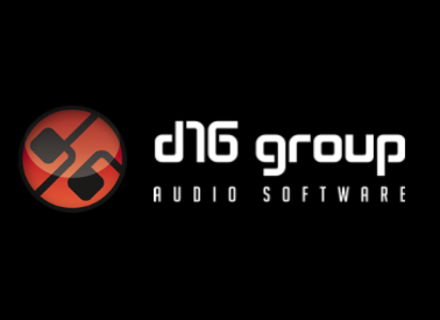 D16 Group announced that they will release their Antresol flanger plug-in for Mac and Windows on June 19th.